Bursting at The Seams With Coaching Centres, Rajender Nagar is Now The UPSC Hub! The last decade has seen Rajender Nagar evolve as a permanent UPSC hub. The place shares the success stories of loads of toppers who have slogged their days and nights going to coaching classes, libraries and putting in all that they have - just in order to crack the UPSC exam, which is one of the most reputed and notoriously tough examination in the world. We&apos;ve taken numerous trips to Rajender Nagar and can safely say it has become the UPSC hub - here&apos;s why! Now this is the most integral reason! Rajender Nagar is overfilled and simply bursting with coaching institutes. Initially, it started with Vajiram and Ravi and Sriram IAS, and now you can’t even count the number of institutes this place has; not just for UPSC but also for SSC and Bank P.O. You would see all kinds of students lugging their bags, coming here hoping to make a place for themselves in the Civil Services Examination. The institutes here are not just institutes, most of them could also stand in as landmarks. 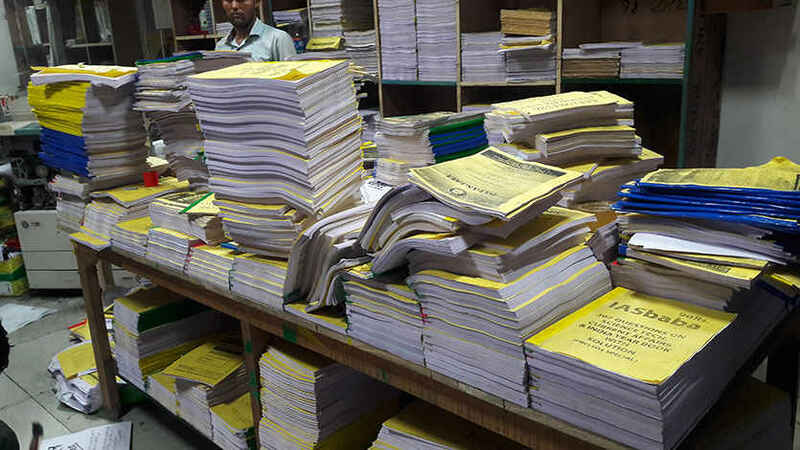 The coaching centers charge a lump sum amount of more than 1 lakh for General Studies preparation, but still students don’t mind shelling that out for their gamble for a secured future. Vajiram and Ravi, Synergy, Vision IAS and Shri Ram are the most popular coaching institutes in Rajender Nagar. Passion IAS has also garnered a lot of popularity name in a short time. Most people rely on reading rooms and libraries to study for UPSC. The reading rooms have mushroomed and multiplied over the years in Rajender Nagar. These reading rooms are very different than the traditional libraries, as most of them do not have books to offer - just the quietude and a basic comfortable space so that studies can continue without any interruptions or distractions. 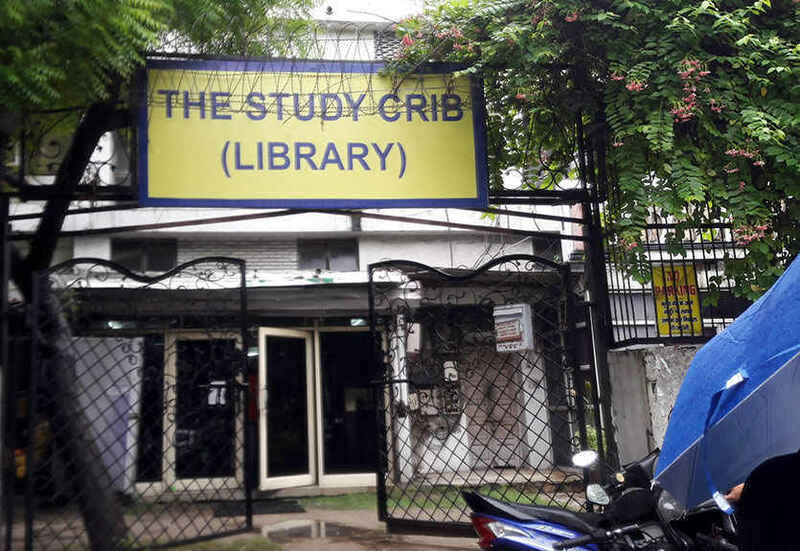 The reading rooms in Rajender Nagar even have night shifts, and some of them even have refreshment facilities available. The Study Crib, Vision IAS Library are good options, to name a few. The charges vary from Rs 1,000 to 2,500 for eight hour to twelve hour shifts. Pricey! Rajender Nagar is not only overfilled with coaching institutes, it is also laden with lots of PG accommodations for the students, and the charges vary depending on the facilities that a student is availing, such as AC rooms, since the Prelims are usually in August so during preparation time an AC helps a lot to beat the scorching Delhi heat. The charges even exceed as much as Rs 12,000 for a room in some areas if the student wants a separate room to avoid distractions, but you can get a basic shared room in Rajender Nagar at around Rs 3,500 per month. Go to any lane in Rajender Nagar and you’ll come across at least one ‘PG for Boys’ or “PG for Girls’ advert waving about! Photostat shops in Rajender Nagar are plain gems! They’re just not meant for getting your books xeroxed, in fact, you can find anything and everything there. 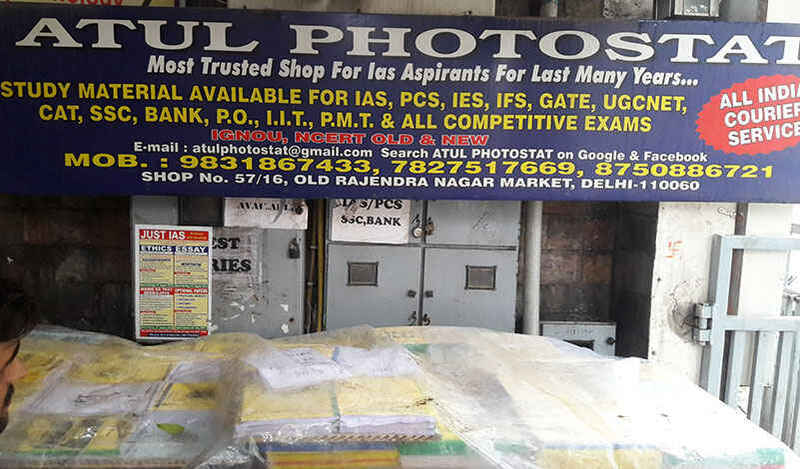 There’s this really famous shop near Vajiram and Ravi coaching institute named ‘Atul Photostat’, where you can get everything from notes of previous years toppers, coaching center notes, Prelims test series and everything that at coaching centres would cost bundles, but here at this shop you can get everything just at the price of photostat! This place is like the mecca for all UPSC aspirants, and everybody visits it. Despite the fact that most of the things are available in terms of coaching materials and even if they are not, students have the privilege of using the internet, but still book stores never go out of style! People still prefer books over the internet, and Rajender Nagar has a decent number of bookstores that are much frequented by glassy-eyed and earnest students thirsting for knowledge! The availability of all the basic services whether it be convenient Metro lines to commute, restaurants to order food or markets to shop in, Rajender Nagar boasts of all the basic facilities that only make it more comfortable and hassle free! So all of this has really contributed a lot to Rajender Nagar’s transformation into a Mecca for all UPSC aspirants thronging the city! P.S. 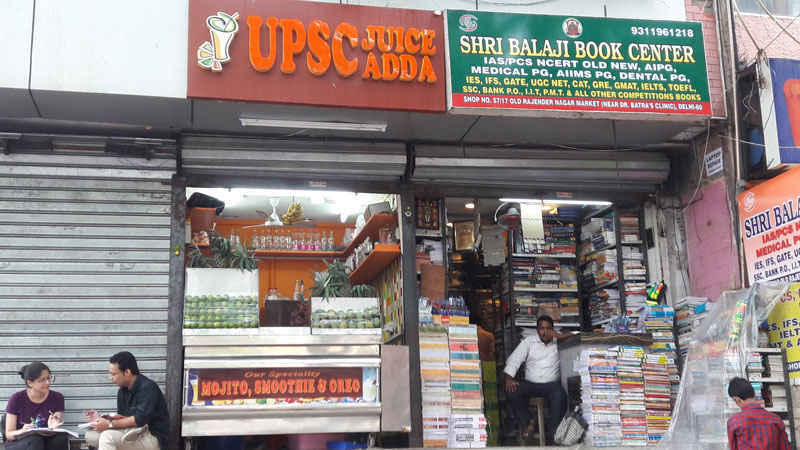 | Okay, now here’s something really cool we need to share - there’s this juice corner near Vajiram and Ravi and its name is ‘UPSC Juice Adda’. Imagine!